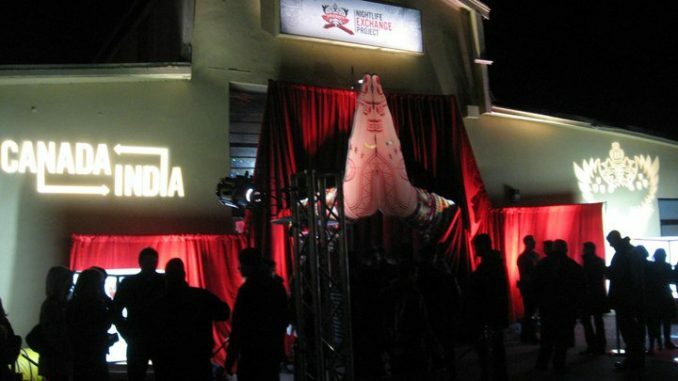 From the outside, Toronto’s Munition Factory was aglow in red and white on Saturday evening. Over the entrance loomed two giant hands clasped together to form the traditional Indian greeting of “Namaste” – welcoming all who entered. 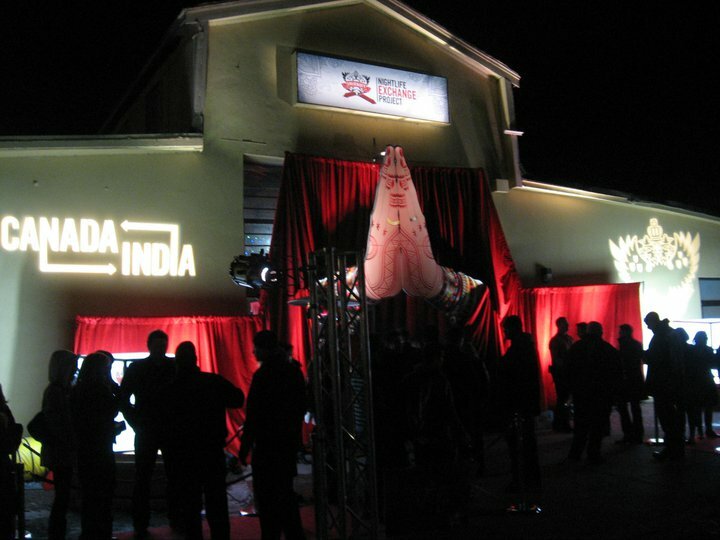 This was just a taste of what was inside as Canada was given a glimpse into India’s rich culture and nightlife as part of the Smirnoff Nightlife Exchange Project. In a unique and ambitious endeavour, 14 countries paired up and swapped nightlife on one night in a showcase of culture and music. The idea behind the project was for countries around the globe to fill a crate with their suggestions on the best of their local nightlife and then exchange it with another. Each country was able to share the many vibrant sights, sounds and tastes of international nightlife while experiencing a new culture at the same time. On November 27th, countries from six continents took part in the exchange including Canada, USA, Great Britain, Argentina, Australia, Brazil, Germany, India, Ireland, Lebanon, Poland, South Africa, Thailand and Venezuela. 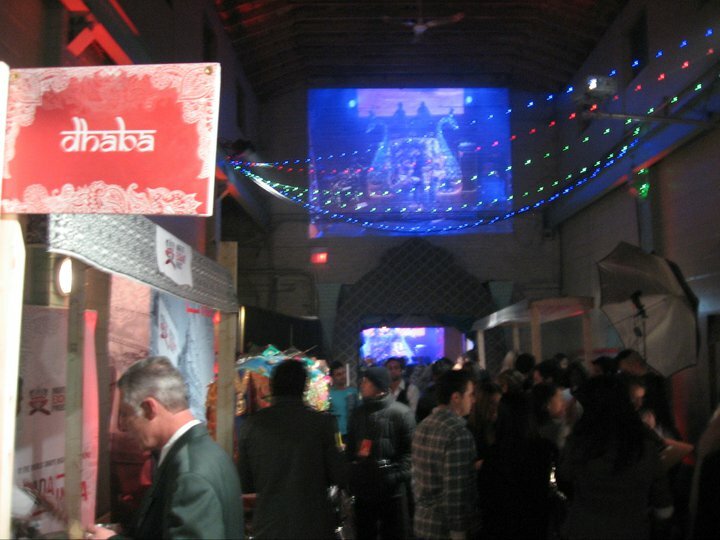 Canada was paired with India and Toronto’s Munition Factory was transformed into a lively Indian bazaar complete with rickshaws, performers, artists and food stands. People from all backgrounds were dressed in traditional Indian attire, greeting those arrived. Surprisingly, authentic Indian currency – 200 Rupees each to be exact – were given out as drink tickets. Artists painted on murals while a duo jammed on the tabla and sitar, entertaining crowds in the glow of soft light. First stop was the bazaar and it was authentic. Just as if standing on the streets of any Indian city, patrons had to keep and eye out for bicycles and be ready to dodge them as they made their way through the bazaar. At the Dhabas (open air food stands), samosas and curried eggs wrapped in rotis were being freshly cooked on the spot – all complimentary for patrons to devour. Past the bazaar was a crowded room lit brightly by a stage where DJ’s played a variety of music to get the joint jumping and dancers showed off their moves on raised platforms. On tap for the evening was a showcase of both Canadian and Indian bands. Kicking off the night of music was India’s Jalebee Cartel who were performing in Canada for the very first time. The band hails from New Delhi and is one the most successful live acts in India, having drawn praise from A-list DJ’s like Pete Tong and Tiesto. Next up on stage was Isis – one-half of the now-defunct Canadian electronic music duo, Thunderheist. The Nigerian-born Isis, who calls Toronto home, brought the crowd to life with her infectious energy and retro beats. The next act, and perhaps the most memorable performance of the night, belonged to Mumbai’s Shaa’ir and Func. 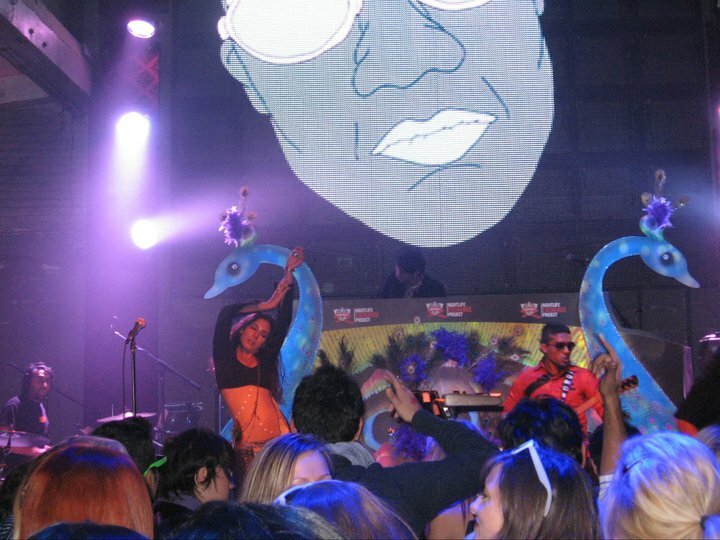 The electronic duo is notably one of India’s most successful indie bands at the moment. 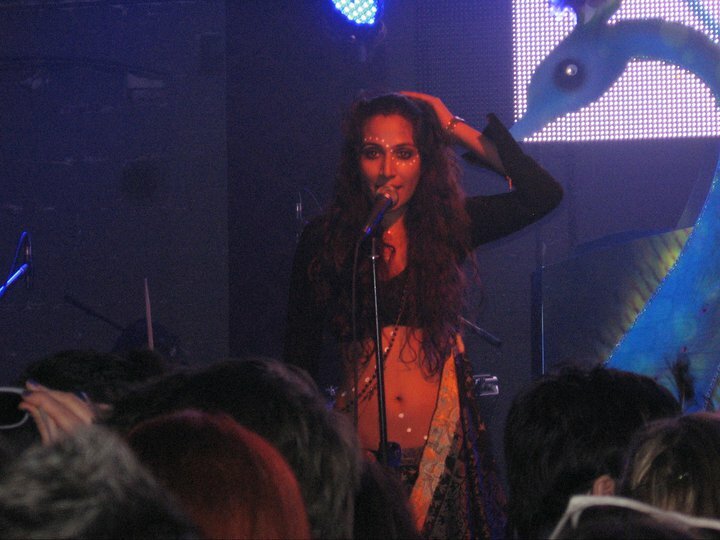 Monica Dogra (Shaa’ir) hypnotized the crowd with her vocals and captivated the room with her eyes. Randolph Correia (Func) rocked the crowd with his feverish guitar licks. The band, supported by other musicians on drums, keyboard and bass for the show, fused their unique brand of electronic and rock, ranging from mellow, soft flowing beats to head-banging hard-rock. Dogra’s incredible stage presence exuded raw sensual energy as she danced and thrashed away, while singing deep, poetic lyrics. It seems Dogra’s talent and on-stage performances have caught the eye of Bollywood as well. Approached by director Kiran Rao, Dogra successfully auditioned for a lead role in the upcoming Bollywood film Dhobi Ghat and will star opposite Aamir Khan. The film is slated to be released in 2011. She also contributed to the soundtrack of the recently released Bollywood film, Break Ke Baad. The evening concluded with Canadian new wave/electropop band Dragonette taking the stage and keeping the audience entertained with their infectious and catchy tunes. The band also invited Shaa’ir and Func on stage for a mashup to the delight of the crowd. It was the perfect wrap up to an event that shared the best of Indian culture and nightlife to an appreciative multicultural Toronto crowd. Overall the night was a smashing success – a combination of great music, entertainment and culture.